"Half Blood Prince" Blu-Ray Signing at HMV. . HD Wallpaper and background images in the Evanna Lynch club tagged: evanna lynch luna lovegood evanna tom jessie cave 2009. 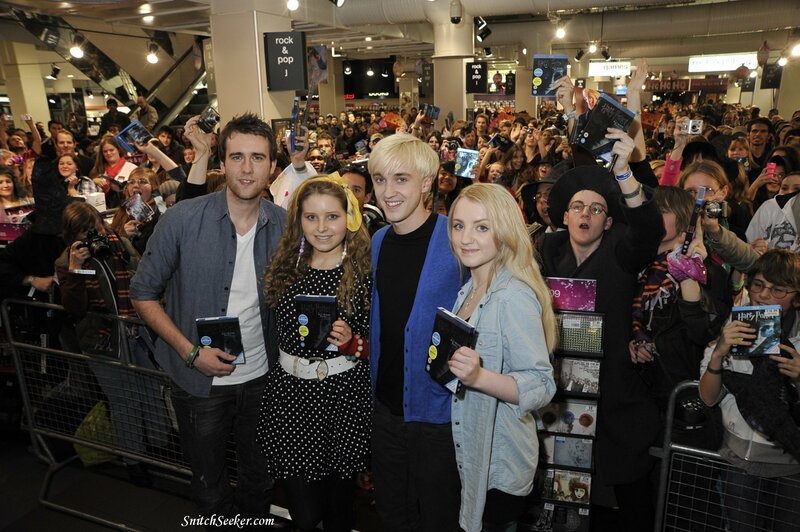 This Evanna Lynch photo might contain traje de negocios and juego de negocio.